Do you enjoy writing? Is your work liked by your friends and family? It would be interesting to know that every one of us spend a lot of time in writing. Confused? Well I am correct, every one of us do spend a lot of time in writing, the form does not involve writing big books and novels instead it involves writing e mails, letters, status updates, tweets and much more. Even an occasional thank you note can be counted in for the writing purpose. You might not have thought the same way but your day to day life involves a lot of things that requires good writing skills. This might not produce any effect at the small scales but if you are running a big business and have clients across the globe then you should have the best writing skills in you. Writing should not be equated to that of an author’s work but it that necessary practice that everyone should inculcate in order to stay ahead a lot of people. You might have the knowledge but presentation is the most important thing that matters and for that you have to have the best writing skills. 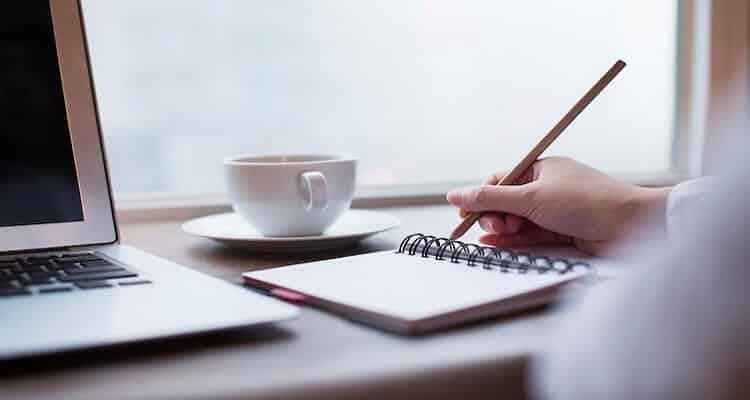 Writing is something that can come naturally to someone but if writing is not your cup of tea then you should refer to the following tips that would help you in becoming a better writer. One of the main things that you should take care at the time of writing is to know what you exactly want from writing a piece. You should be clear in your mind about the intension of writing. Your written piece should be easy to understand by the people in your office place. Simplicity is the best thing that should be maintained while writing anything. Therefore know exactly what you want to convey and write it clearly. No one likes big emails that fail to convey the message. Therefore it is advisable to keep yourself to the point. If it becomes difficult for you to convey your message then you should think about the person who would be reading your written piece. Always include the reason of writing, the thing that you want to convey and the actions that you want to be taken in your written piece. This would help you in conveying the message without increasing the length of it. The best way to improve your writing skill is to think from the public perspective. If your written piece can be understood by the people out there then definitely your job is good but if you fail to convey your message to the common people then you have to improve your style to make it understandable. The people from your profession might understand easily but the real challenge lies to convey it to an unknown. Therefore you should work on that aspect as well. Research shows that happiness is one of the key factors that affect your writing. You cannot simply write a good piece if you are stressed out. Therefore it is advisable to tickle the happiness inside you before you sit to write. Try different things that makes you happy and the effect could be easily seen in your writing. It is seen the more time one takes to write a piece the worse it gets. Therefore it is advisable to set a time limit for the piece that you are writing. Practice this habit in order to give best result in a limited frame of time without chewing away the fun. If you get stuck somewhere in your writing piece (e mail or a letter) and not getting what to do in the situation then the best thing is think as an expert. You can imagine any person that drives the best in you. It could be a movie star or even the president of your state. Try to think what that expert would do in such a situation and you would get the answer to your problem. One of the important things is to strongly close the argument. If you are stuck in a long thread of e mail because you invited every single person would not give any result. Therefore instead of relying on others you should write strong mails with proper closing indicating your decisions. At the time when you are writing something then it is best to keep the matter simple. Mention what you want the person to do clearly without twisting the words. In the business world it is important to convey your message clearly. Reading the piece written by yourself could help you in detecting the errors. There could many errors like typo, spelling so it is always advisable to read out your writing before you send it to someone. No matters what you write, every mails, message, status or tweet can make someone’s day. Use king words and give compliment to people through your writing. It would make you feel good and at the same time would make the reader happy. There are some of the simple tips that everyone should follow in order to improve their writing skills.